Our customs agent is certified as an Authorized Economic Operator (AEO), which benefits our customers by considerably reducing the number of inspections and saving time and speeding up the necessary procedures. In addition, the fact of having AEO certification implies an additional security advantage since it means being included in the list of trusted logistics operators for the administration throughout Europe. Our warehouses are certified by the Directorate General of Customs as: Customs bonded Warehouse (DA), Temporary Customs bonded Warehouse (ADT), Different Customs Bonded Warehouse (DDA) and Warehouse. 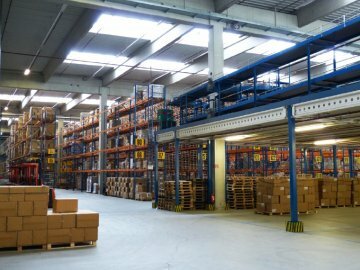 In this way we can offer you the most suitable type of warehouse for your goods with significant tax benefits. Customs Warehouse (DA): This type of warehouse allows to store goods from non-EU countries without any time limit without having to pay taxes until they leave the warehouse. VAT Warehouse (DDA): This type of warehouse also allows the storage of import goods, but is limited to Spanish companies that store certain goods subject to a special tax regime. Temporary Storage Facilities (ADT): These warehouses are intended for the storage, for a limited period of time, of import goods, which are in transit awaiting a final destination. Bonded Warehouse: These are warehouses oriented to the alcoholic beverages sector. It is allowed to store and ship goods (alcoholic beverages) with the benefit of the exemption from vat.